It’s 10PM on Christmas Eve and halfway through gift wrapping, you run out of wrapping paper. Sound the alarm bells! What do you do? People get pretty creative when they’re racing against the clock, and not everyone has a partner or friend on speed dial for emergency retail store runs. Luckily, there are lots of substitutes for wrapping paper hanging around the house, if you know where to look! A few of these tricks saved my Christmas last year, and I’d like to share them with you. 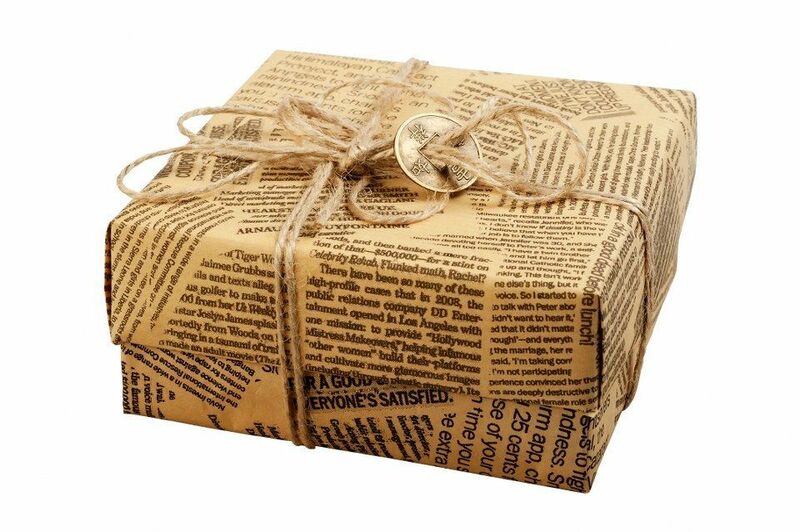 Newspapers stand the test of time and they add an ageless decorative personality to gifts when used as wrapping paper. 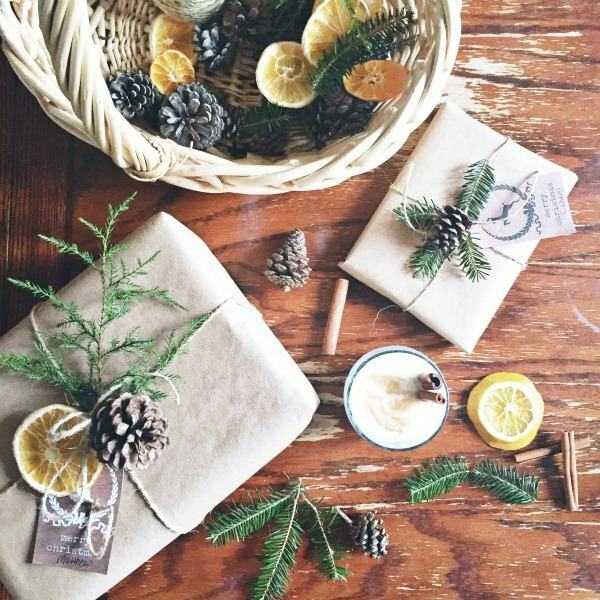 This video from Reena Kazmann (@ecoartware) offers eight eco-friendly wrapping techniques involving newspaper. Paper grocery bags add a rustic look. Remember when we covered our school textbooks with grocery bags? Our teenage selves found creative ways to protect and decorate books, and as adults, we can use the same logic for gift wrapping. Here are some ideas from Apartment Therapy (@AptTherapy) for sprucing up brown paper bag wrappings. Wrap gifts in woven ribbons. Do you have ribbons hanging around from old crafting projects? Weave two, three or more colors for a pretty, multicolor gift wrapper. Naldz Graphics (@naldzgraphics) provides multiple weaving patterns from which you can draw inspiration. The same logic can apply to woven yarn (@keepoutmischief), and knitters are notorious for having leftover skeins from finished or forgotten projects. Fill mason jars with colorful items. Other jars will also work and you can even reuse empty tomato sauce jars. Wrap the top with twine, add a couple sprigs of your favorite herbs and you’re good to go! This article from Redbook Magazine (@redbookmag) will give you more ideas for using the jars of your choice. Wrapping paper isn’t the only traditional way to give gifts. Instead of hanging stockings as decoration, use them as holiday-inspired gift givers! These five rules from Dave Ramsey (@RamseyShow) will ensure your stocking stuffers are a success. 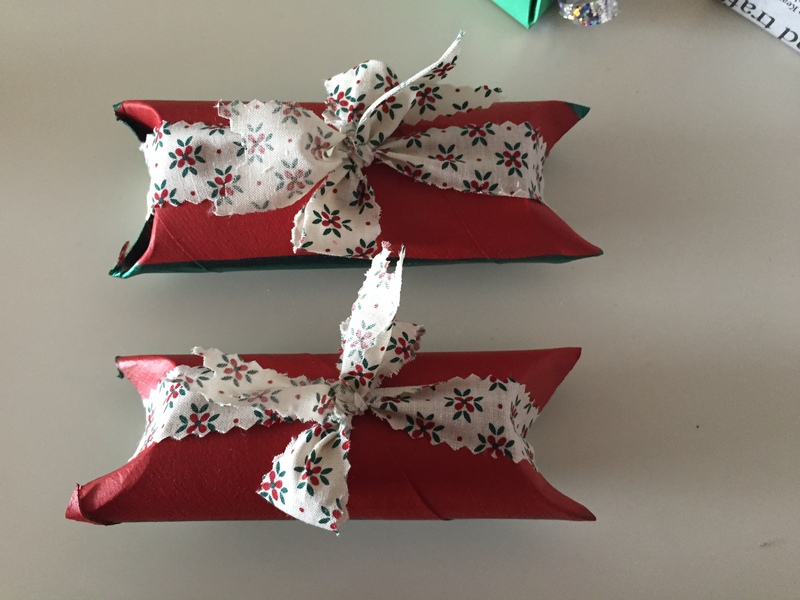 Wrap gifts in an old (clean) handkerchief. Do you own handkerchiefs that are more decorative than functional? A pretty cloth folded and tied with ribbon, yarn or a beautiful brooch pin, like Running with Sisters (@ONeilSisters) did, will look elegant as a gift wrapper. If you have the extra time (and thread), why not embroider the gift recipient’s initials to the handkerchief so they can save it as a personalized keepsake? Or use this traditional Japanese cloth wrapper for a unique touch. Has someone on your Christmas list been bitten by the travel bug? Look at number 39 at DIYJoy (@DIYjoyCRAFTS) to glimpse at this fantastic idea for anyone who loves geography. 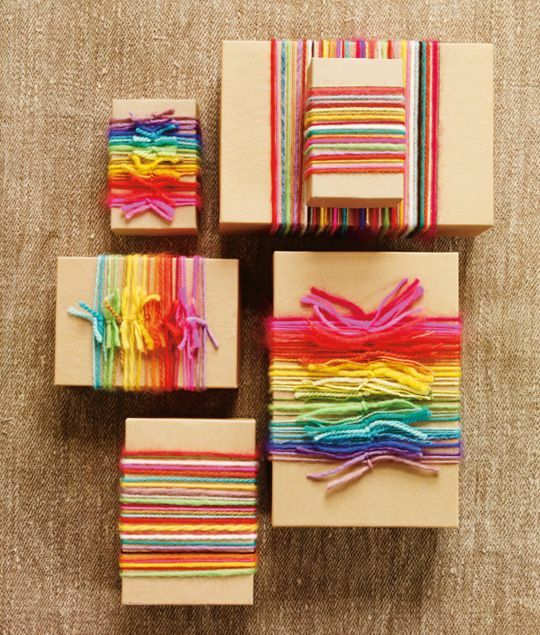 Make your own gift boxes with paper towel rolls. Do you have a small gift but no box to place it in? Make your own gift box with a toilet paper roll! If you have multiple small gifts for one person, the same concept will apply using a paper towel roll. This YouTube video will show you exactly how to make a gift box out of toilet paper rolls. 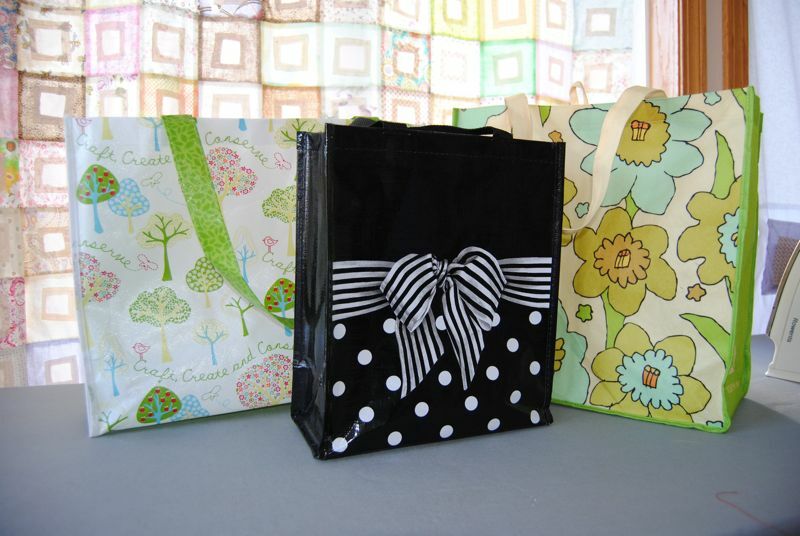 Place gifts inside a DIY purse or tote bag. Do you have an obsession with purses and own more than you really need (or use)? Other women may not splurge on themselves the way you may and will love a new purse (filled with goodies). If you don’t have extras on hand but love this style of gift giving, make a tote with these DIY instructions from Doing Splendid (@doingsplendid). Aluminum foil adds a metallic shine. Not only will aluminum add a brilliant shimmer, but you won’t need tape either! Here are step-by-step directions from The Gift Wrap Blog. The shopping bags from certain stores are actually quite beautiful and may double as a gift bag. You can also trick your family and friends into thinking you bought their gift from one store by placing it into a different bag. A Beautiful Mess (@abeautifulmess) provides a few ideas for making your own professional-looking gift bags with things you may have on hand. Top with pine cones or twigs from the yard. Forget topping boxes with bows and opt for what nature provides instead. Pine cones sprinkled in silver glitter are very festive, too. While you’re at it, why not decorate your entire homes with pine cones with these ideas from Country Living (@countryliving)? Decorate with lace doilies (or coffee filters with ornamental cut-outs). 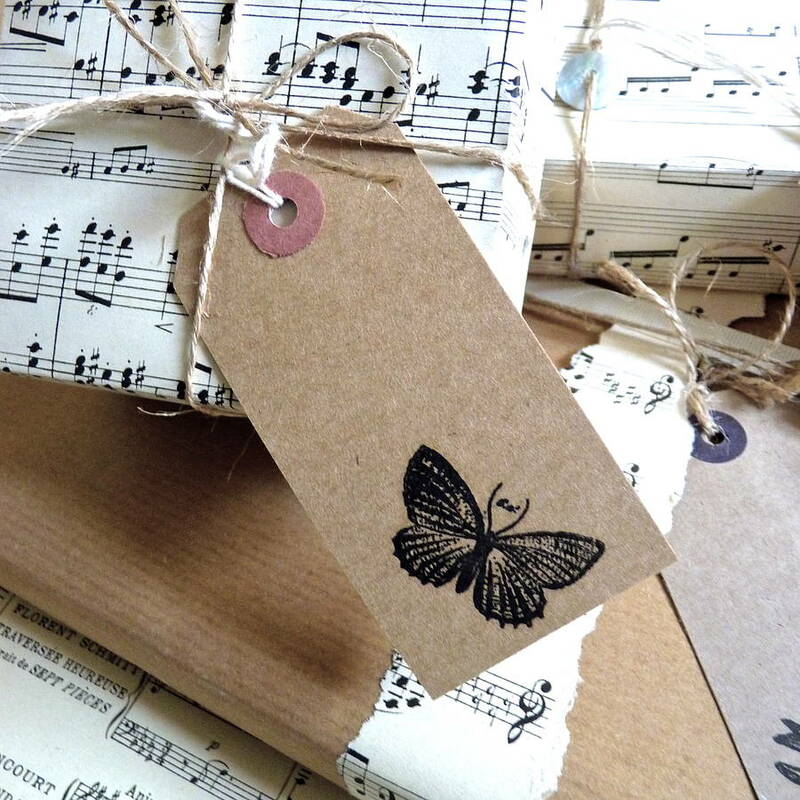 This is a great way to decorate plain brown paper (perhaps from the recycled grocery bag). If you don’t have doilies hanging around (I know I don’t), cut coffee filters into snowflakes or other pretty shapes. Here is an easy tutorial from My Kids Adventures (@kids_adventures) for cutting snowflakes from filters! Use a sheet of music paper. If you have a musician in the family, chances are that they have lots of extra music sheets lying around. Ask them for any that they no longer need and use them to wrap presents. This idea from the Huffington Post (@HPLifestyle) is a great one to get you started. Go exotic with big leaves. Just like northerners can get a festive feel with pine cones, people in the tropics can use their natural surroundings for inspiration. Banana leaves are one of many large plants that can be used as wrapping paper or decorative additions. Just ask Martha Stewart (@marthastewart). The ideas don’t stop here either. Harness your creative side as you walk around your home and look for anything that can be recycled or that hasn’t been used (and won’t be missed). Not only have the items on this list saved me from looking unprepared, but they breathed new life into some old odds and ends. Which ideas do you like best? Leave your thoughts in the comments section and feel free to share this list with your friends. Good ideas. DIY w/things on hand can be more stylish than store bought. 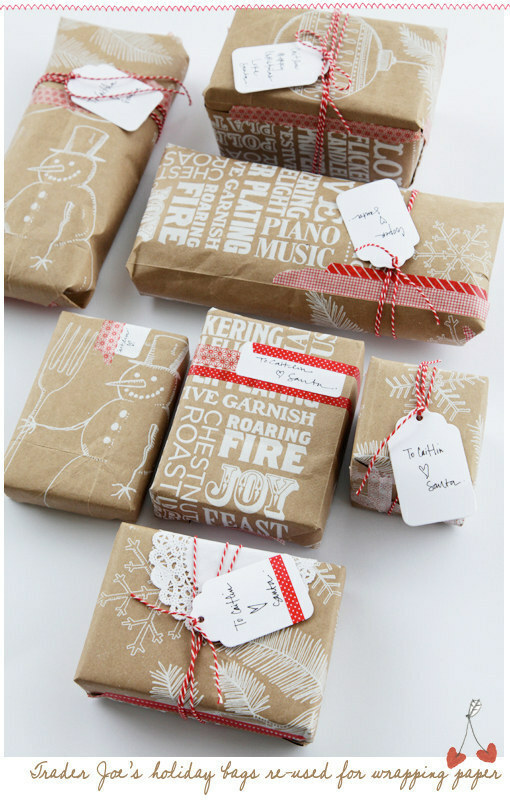 Don’t forget to make gift tags by using the “inside” (unprinted) side of cardboard cereal and soap powder boxes, too.